When I first heard of Nintendo remaking The Legend of Zelda: The Ocarina of Time I almost blasphemed one of the most prominent video game companies in history, but then I looked into it and these screens show off why it was a good idea. The re imaging of a classic and one of my favorite games of all time. LEAKED: The New Assassins Creed? It looks as though Ubisoft has possibly leaked the name of the next Assassin’s Creed game on Facebook, when a flash screen titled Assassin’s Creed: Revelations briefly popped before being taken down. While the “oops” has since been removed from Facebook, NeoGAF was quick as can be with the old print-screen button on the keyboard, and has posted the shots. According to GAF, a Flash file containing the logo and Altaïr’s name in Arabic script popped up, and a post on the page states for folks to click the link to help reveal an “exclusive look at the upcoming Assassin’s Creed game.” According to GAF, the Flash files are still present on Ubisoft’s server. Ubisoft said previously that the next Assassin’s Creed game was to be revealed in May, so it’s possible that someone just pushed the button a bit too soon on the old Facebook. Ubisoft announced its E3 press conference for June 6 yesterday so be prepared for a reveal this May. If you haven't been paying attention to the future of the Bourne Series, then this is major news to you. Matt Damon has departed (rumored to appear in a later sequel) and Universal Pictures had some huge shoes to fill and searched madly to find a replacement. Jeremy Renner was picked out of a massive group of talented actors [Joel Edgarton, Domic Cooper, Garrett Hedlund, Luke Evans, and Anthony Mackie just to name a few] and if Renner wasn't busy enough teaming up with Tom Cruise in the New Mission Impossible: Ghost Protocol and preparing for his monumental Superhero role as Hawkeye in Marvel's The Avengers casted alongside Robert Downey Jr (Iron Man), Mark Ruffalo (Hulk), Chris Evans (Captain America), and Chris Hemsworth (Thor). 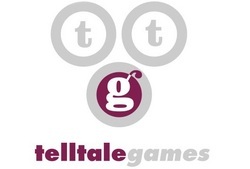 I reported on TellTale Games in February and I specifically said, "Keep Your Eyes on TellTale..."
Telltale Games, the San Rafael-based purveyor of episodic adventure games, has struck an accord with Microsoft, the studio announced today. Exact details on the length and nature of the licensing agreement are forthcoming, but it pertains to publishing games on the Xbox 360 (presumably through Xbox Live Arcade), specifically, with no mention of Windows Phone 7 in the deal. "Adding console support to our acknowledged expertise in digital downloads is another positive step in our long-term growth strategy," said Telltale co-founder and CEO Dan Connors in the announcement. "We are pleased to expand the size of our potential audience by encompassing the Xbox 360 console consumer and bring our vision of video gaming to them." You may wish to visit the web site of the U.S. Federal Trade Commission atwww.consumer.gov/idtheft or reach the FTC at 1-877-382-4357 or 600 Pennsylvania Avenue, NW, Washington, DC 20580 for further information about how to protect yourself from identity theft. Your state Attorney General may also have advice on preventing identity theft, and you should report instances of known or suspected identity theft to law enforcement, your State Attorney General, and the FTC. For North Carolina residents, the Attorney General can be contacted at 9001 Mail Service Center, Raleigh, NC 27699-9001; telephone (877) 566-7226; or www.ncdoj.gov. For Maryland residents, the Attorney General can be contacted at 200 St. Paul Place, 16th Floor, Baltimore, MD 21202; telephone: (888) 743-0023; or www.oag.state.md.us.To be fair, Sony does apologize for the inconvenience. There is still no update on when service will be restored, but that is the least of your concerns if you have a PlayStation Network account. It's time to change your passwords, at the very least, and if you're like to be completely safe it's not a bad idea to cancel your credit or debit cards and request replacements. CD Projekt may have given me a reason to wet my knickers; apparently they have been working on a port to Playstation 3 and Xbox 360 for their highly awaited sequel, The Witcher 2 Assassins of Kings. "Yes, it is for us an entirely new project. But of course, [we are] already working on it," he's reported to have said. "You can expect that during such events as the largest fair in the world of computer games, E3 and Gamescom [we will] inform you about what we're currently working on." So among the numerous events, announcements, trailers, tech, and etcetera happening at E32011 we have The Witcher 2 for consoles to wish for! Hooray! Activision Publishing, Inc. and Treyarch revealed today that famed horror and action stars Robert Englund, Sarah Michelle Gellar, Michael Rooker and Danny Trejo have joined the cast of Call of Duty: Black Ops Escalation's zombie level, Call of the Dead. The Call of the Dead zombie level and four all new multi-player maps make up the second content pack, Escalation, for the record-setting game Call of Duty: Black Ops, launching first on Xbox LIVE® on May 3rd. Dedicated to creating a Zombie experience like never before, the Call of the Dead storyline is inspired by none other than legendary horror writer and director, George A. Romero, who also stars as himself in the new level. "Our latest zombie creation, Call of the Dead, is unreal!" says Mark Lamia, Studio Head of Treyarch. "We set out to create an exciting new zombie experience for fans of the genre that takes Zombies to an insane new level." "This is Treyarch's tribute to the legendary George Romero, who truly defined the zombie genre and whose incredible work has been such an inspiration to our team," says Dave Anthony, Call of Duty: Black Ops Director. "It was an absolute honor to work with such an amazing and talented cast whose passion and energy brought their characters instantly to life. Fans are going to love this." In addition to George A. Romero, whose credits include Night of the Living Dead, Dawn of the Dead and Land of the Dead, he is joined by Sarah Michelle Gellar, whose credits include the hit TV series, Buffy the Vampire Slayer and Cruel Intentions; Robert Englund, best known for originating the role of Freddy Krueger in the successful Nightmare on Elm Street franchise; Michael Rooker, most recently acclaimed for his work on AMC's horror drama The Walking Dead; and Danny Trejo, who starred in 2010's action-thriller Machete. Javier Bardem has officially signed on to star as Roland Deschain in Ron Howard and Brian Grazer's adaptation of Stephen King’s The Dark Tower. This news isn't really surprising seeing as how for the last few months Javier's name was on every pitch list for the cast of this hugely ambitious franchise. As well as a trilogy of films, the story will continue through three TV miniseries that are planned to follow each film. The New York Post quotes a source as saying: “Bardem has signed on to the first movie and the miniseries, but the intention is that he will star in all three movies and each of the TV series. Production on the first film looks likely to start this September with Howard directing. Hideo Kojima Announces his elusive "Devil Project"
If a game has a grand scope, many locations, and a huge map to traverse the way you can travel can make or break a game. Oblivion and Skyrim share the same size territory of 16square miles. This massive amount of land to navigate could either make the player enjoy the gameplay and the amount of time going from point A to point B, or could severely aggravate even the most patient RPG-expert. The Acrobatics and Athletic skills have been removed so traveling won't consist of you jumping around like a drunken jackrabbit to gain XP. Instead, Todd Howard and Bethesda have given you a Sprint Button. I see you thumbs start to perk up already. Todd Howard explains, "There are boats but you don't sail them around. As far as mounts and horses it is something we'd really like to have but we're still messing with it. We're definitely not ruling it out. We want to make sure it's a gameplay addition. Horses have come a long way in games. We want to make sure we're paying off on that. It's looking good right now but we'll yank the feature if we think it makes the game better." Taking away such a staple of Oblivion as the horse was, it is scary to think how travel would differ. But Bethesda has assured its fans that, unlike Oblivion, Skyrim is not barren; there are many occurrences in between point A and point B. "One of the designers put in a random encounter where three dragons swooped by this town. It's just a visual. But [the dragons] think on their own so here come the three dragons and they saw me and it was party time. So I ran up the mountain to try and lose them, it felt like Two Towers when Frodo's going through the swamp, it was really terrifying. But I did make [the designer] take it out. Three is too many." Many dragons will try to fry you with fire. Some might speak English. Rounding the corner of a mountain range to see one of these spiny beasts perched atop a crumbling piece of ancient architecture is a terrifying sight. Running away isn't always the best option, though, since killing a dragon allows you to absorb its essence and power up. Because your character in Skyrim can speak the language of dragons, you'll also be able to use dragon shouts. These are learned in the depths of caverns on stone slabs called word walls. When you string words together, it produces magical abilities. You can scream out force waves, slow time and crazier stuff depending on how much effort you're willing to put into finding word walls. The shout system is on a separate resource system from magic, which means even if you decided to play as a ropey muscular monstrosity who only knows how to crush things with heavy stuff, you should still be able to take full advantage of this system. Unlike Oblivion's ever-green forests, there'll be a lot more diversity in Skyrim, which lies to the north in Bethesda's fictional land of Tamriel. You'll travel through pine thickets, mist-laced mountains, grassy and volcanic tundra, autumn woods, and glaciers way up north. In all there'll be six or seven types of environments that'll be dramatically different, which should be good news for those who played Oblivion and were looking for a little more environmental variety. Howard also said that there'll be a much greater diversity in the 120 or so dungeons in the game so it won't feel like you're clearing the same one over and over again. As you run around the weather will change, but the seasons won't. Skyrim has five major cities, each with their own culture and architecture, and eight or nine smaller towns. Though the system still sounds like it's in its early stages, it sounds like you'll be able to mess up the economies of the individual population centers if you want. The idea is for your actions to affect products and services available in each town. All of this just adds the the sandbox of possibilities within the game making it a great re-playable title. "I think it's always a good idea on paper," says Howard. "You make it too granular and the player can't tell those arrows are a gold piece cheaper. So what we're trying to do is actually remove things from the economy. That tends to impact it more." That means instead of cheaper arrows, there simply wouldn't be any arrows left in town. "The lumber mill, we have mines and smelters for iron that affects weapons, then we have farms that affect food and ingredients that affect alchemy. We have all that working but we haven't found the gameplay sweet spot." You really could end a whole town if you wanted to. Topple a city to its knees or create a lustrous city of wealth and prosperity. "One of the things that we really struggle with in our games is control," says Howard. "We really have no control. It's a big playground, and for certain players it goes great but there's still a lot of players it goes poorly for. This allows us to control that some. Now we're at a good point where we know where we want to use it. We can use it for miscellaneous quests, you go into town, you want to make friends with somebody, we'll generate a little quest for him that seems simple and that it's ok to go through the radiant story system. For a bigger quest, we want somebody who you're enemies with. We want to use him in that quest in some way. We'll pick the closest person who hates the player. He fills in that role." This system can pull in dragons too. So if you've been a terrible adventurer and tried your best to avoid clashing with a dragon, one of your quests might soon include one. And if you're a pitiless pyromancer and delight in covering the living in lethal flame, ideally you'll still be able to continue to quest even after setting the world on fire. Bethesda's ditching the eight main attributes you may remember from Oblivion. Intelligence, Agility, Speed and all the rest are out. Instead, you get Health for hit points, Magicka for magic points and Stamina for doing anything athletic. It's a loss of a layer of complexity, but it's not necessarily a bad thing according to Todd Howard. "In Oblivion you have your eight attributes and 21 skills. Now you have 18 skills and three attributes. What we found is that all those attributes actually did something else. A fan may say 'You removed my eight attributes! ', and my answer is, which ones do you want? They're all a trickle down to something else. Now when you level up you can just raise your Magicka. In Oblivion you have to raise your Intelligence knowing that you're Intelligence raises your Magicka." Like in previous Elder Scrolls games, skill levels increase with use. The more you use a sword, the better you're able to wield it. In Skyrim, each skill increase contributes to your overall character level, sort of like experience points. If you boost a skill that's at a higher level, you'll see a bigger increase on your character level gauge. The Elder Scrolls V: Skyrim is set to release 11/11/11 and it is at the top of my list for Most Wanted Game. Make sure to check back here for all the updates and news on this title and many great others. Video Game and Movie News. Comment on a topic, start a discussion.